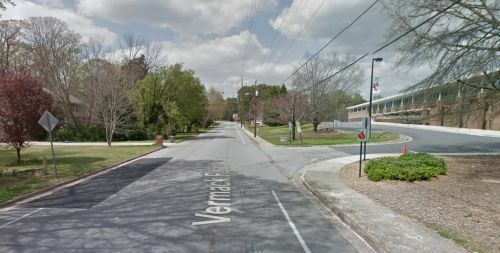 Question: Why are we not paving Vermack in front of Dunwoody High School? Bad street, why not now? Question directed to me: "Please bring up the need to finish paving vermack rd. from village mill to mt. vernon... why they stopped paving is any ones guess....that section passes by dunwoody high school and is an embarressment to our city. appreciate your help in this matter....."
Knowing that this stretch is on the 2015 list, I reach out to Public Works Director Michael Smith for further insight as to possible specifics. Response from Mr. Smith: "The remaining portion of Vermack up to Mount Vernon is planned for 2015. Between now and then we have a storm water repair project on the north side of Womack that will require excavating part of Vermack. We also are working on the design for the Mount Vernon intersection that will affect where we stop the paving to avoid overlapping with that project." The fact is that many water and sewer pipes below our streets need to be replaced and the City Public Works Department coordinates their own schedule and works with DeKalb Water in order to schedule repaving immediately after the under street construction is completed. 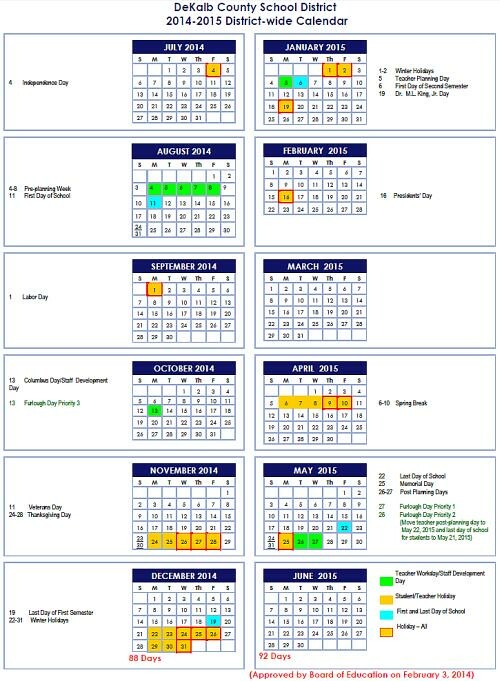 We have received DeKalb's list of sewer work and we have set our paving schedule accordingly. That is the reason that it may appear that we are not paving the important streets but in fact we are juggling a complex schedule where it takes cooperation from various governments to work together. It doesn't make sense to move up our paving schedule on some of the bad streets because we have already set the schedule with DeKalb and do not want to pave a street twice. I know this is the reason that the intersection of Chamblee Dunwoody & Mount Vernon has not yet been done, so please have some patience as this intersection is scheduled for 2014 (as soon as DeKalb water is completed with their project). PS: Council has been assured that the pothole crew's will be out in force once the temperatures warm up and the hot-mix supplies are available from the supplier. 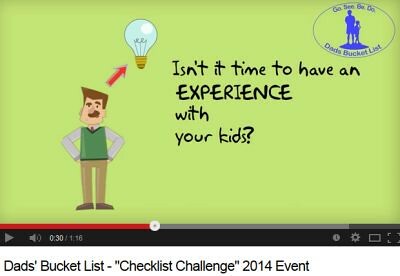 Dads' Bucket List Checklist Challenge - Saturday - Moms please kick Dad and kids out of the house to join us. Are you up for the Challenge? The Heneghan Boys are in. There's only one day until the inaugural Checklist Challenge takes place on March 1st and the staff at Dads' Bucket List want to answer some common questions we've received. On line registration closes tonight but registration is available Saturday in person for $10.00 more. Start Times - We are allowing registrants to show up any time during the day (event runs from 9am-4pm). This should allow participants to minimize any schedule conflicts. For planning purposes, we anticipate that peak attendance will be from late morning to early afternoon. To minimize waits, each obstacle is designed to handle at least two teams (each team = you + your kids) at a time. Time at Event - We expect most people to spend about two hours at the event, but you're welcome to stick around as long as you'd like. 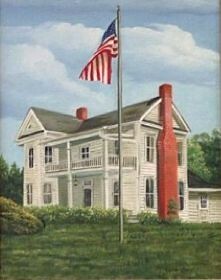 Location - Cagle's Family Farm, 355 Stringer Rd., Canton, GA 30115 (Click for directions). Please follow Stringer Road until you see Cagle's Parking entry sign. Attire - Wear something comfortable and appropriate for being outdoors (think jeans and sneakers). We don't anticipate you'll get too dirty, but we don't recommend wearing your finest formal wear. Event will take place rain or shine so please check forecast. Food - We will provide each team with a beverage and popcorn token. The concession stand will be open if you would like to purchase additional food and drinks. The obstacle names shown in the header above may be a little cryptic to figure out, but that's the point. When you show up with your kids we want you to be surprised with the different challenges you'll be able to attempt (and, of course, we don't want you pros practicing in the days leading up to it). This event is an opportunity to connect with your kids through an undeniably unique shared experience. It's also a chance to connect with other fathers outside of the workplace. And if that's not enough, it's also a great excuse to give mom some time off. For those keeping score, that's 3 birds, 1 stone. Sound like good enough reason to get some friends to join you? Please send them to these links below. A massive mixed use development is coming to Dunwoody that will affect just about every resident in the city and those who travel through it. KDC Real Estate Development and Investments, based in Texas, is behind the 2.2 million square feet project. It will be built on a 17-acre site outside the Perimeter and will include retail, corporate offices, restaurants, entertainment and a 200 room hotel. The first building will be constructed at Hammond Drive and Perimeter Center Parkway in the old Fuddruckers and Chequers parking lots. The building will even be connected to the Dunwoody Marta Station. State Farm Insurance will lease 585 thousand square feet of office space. Justin Tomczack with State Farm, says it will offer a convenience factor to employees like never before. "So folks coming to work at the State Farm campus will be able to ride Marta right in to where they work so, that's a very exciting concept!" said Tomczack. And with an expansion of that size, State Farm says it will add more than 3,000 new jobs in coming months and years. The Mayor of Dunwoody, Mike Davis says this is a game changer for the city and surrounding Metro Atlanta. "It's huge for Dunwoody, it's really the opportunity of a generation. And not just in Dunwoody or Sandy Springs, but in the entire Metro area." However with this new development, will come construction, that is sure to linger for several years. That means traffic will be thick in an already congested area. Other businesses in the neighborhood are already voicing some concern about how the traffic and construction will affect their operations. Dunwoody's Director of Economic Development Michael Starling has been fielding some of those concerns. "Sure, we've had some companies talk to us about that, but I think we've been able to alleviate those concerns from them. Obviously a large construction project like this will impact at times, traffic, but we will have plans in place to take care of that," says Starling. Construction is set to get underway this summer. FYI: uploading over 3 hours of video to YouTube takes some time but I personally like the results plus I do not have the issue of older videos being deleted from the system over time because of the quota limits on the last service I was using. 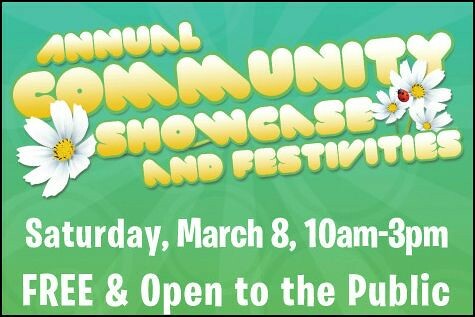 North Atlanta Church of Christ and the North Atlanta Preschool will host a Community Showcase & Festivities on Saturday, March 8, from 10:00 a.m. to 3:00 p.m. where they will have a "craft fair" type area featuring vendors from the Dunwoody area, locally based food trucks and restaurants, and King of Pops. They will also have activities for children: a petting zoo, bounce houses, pony rides, face painting, games, etc. There is no entry fee for the event, but the petting zoo and pony rides will cost $5, and food trucks and vendors will set their own prices. The address is 5676 Roberts Dr, Dunwoody. If you'd like more information, please email melissa.deegan@nacofc.org or call 770-399-6333. 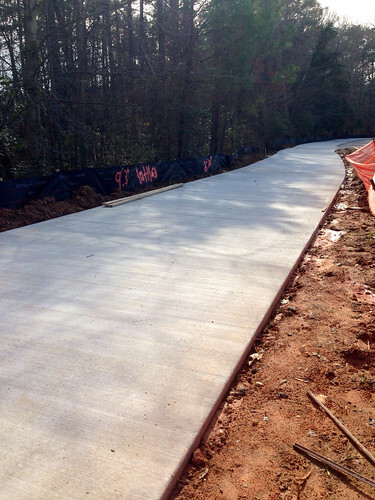 Phase II of Dunwoody Trail in Brook Run Park is now underway. Concrete poured just last week. 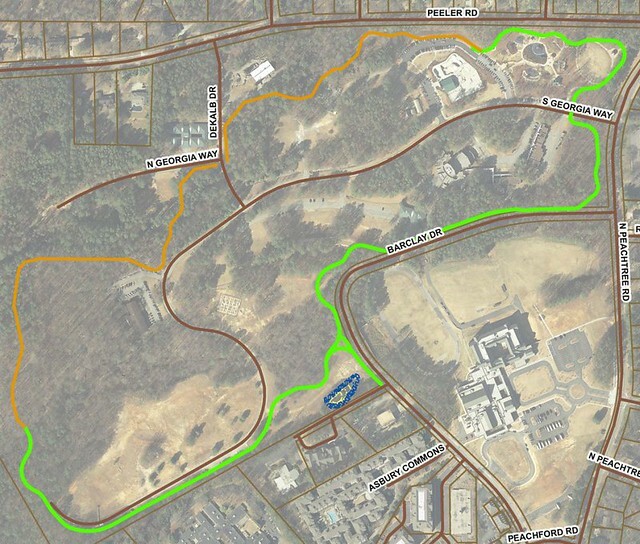 Phase III crossing creek at back of Brook Run to join new park will be coming next year? 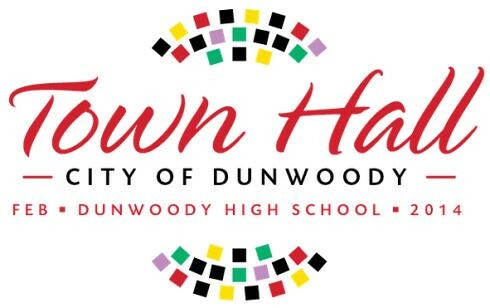 On February 20, 2014 the City of Dunwoody hosted a Town Hall meeting with residents and community members to further the conversation about city governance, spending, projects and initiatives. Town Hall attendees had the opportunity to vote on and prioritize the topics for discussion, ask questions in an open meeting format and participate in a transparent and informative dialogue. My favorite question of the night comes from an 8th grade young lady at the 1 hour 15 min mark asking about what we are going to be doing about providing park space for more active recreation. 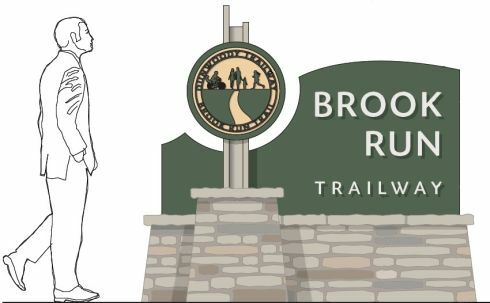 The issue of what to do with the back 30 acres of Brook Run Park can be debated and voted upon now but the reality is that DeKalb County owes us 7 million dollars that can only be spent in Brook Run. No large scale recreational development will happen until that money is obtained and it will be the sitting City Council at the time who will ultimately be making the decision. 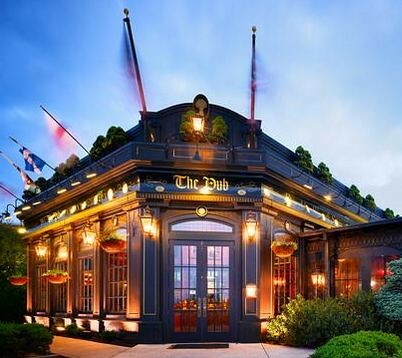 The Pub is coming to Dunwoody Perimeter Mall, filling former Hudson Grille space. Cincinnati, Ohio-based Tavern Restaurant Group is bringing its British pub concept — aptly named The Pub — to the Dunwoody mall. The Pub has leased 7,000 square feet at Perimeter, taking the former Hudson Grille space. It’s set to open in mid summer. It will be the first location in Georgia. Conceived by restaurateur Nick Sanders in 2001, The Pub is inspired by pubs found throughout Great Britain. Expect an authentic interior and beer-specific glassware. One feature is the “Pour Your Own Beer Wall” where people pull their own pints and pay by the ounce. The menu offers classic British comfort food such as fish-n-chips, bangers and mash, and shepherd’s pie. Guessing the Coro Realty / Walton Communities item is regarding a possible Senior Living Center located behind the Georgetown Shopping Center on Old Spring House Lane? From February 27 – March 9, 2014, Jerry’s Habima Theatre, Georgia’s only theatrical company directed and produced by professionals, featuring actors with special needs, will celebrate its 21st season with the charming, tuneful, and hilarious Little Shop of Horrors. Jerry’s Habima Theatre, was the 2007 recipient of the Spirit of Suzi Bass Award for its long-term and consistent contribution to professionalism in Atlanta theater. All productions are held at the MJCCA’s beautiful Morris & Rae Frank Theatre, 5342 Tilly Mill Road, Dunwoody. Visit us online at www.atlantajcc.org. To purchase tickets, call 678.812.4002 or visit Buy Tickets. Dunwoody Police Officers change babies' diapers during a shoplifting arrest. Introduction of Community Development Director, Steve Foote. C.V.B.D. 2013 Year End Report and Financials. Discussion of Revised Intergovernmental Agreement with DeKalb County for the Provision of Election Services. 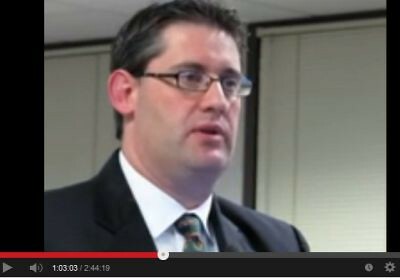 Discussion of Probation Services Contract Renewal - Sentinel Offender Services. 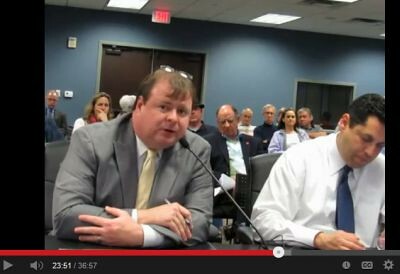 Discussion of Contract for Towing Services - Brown & Brown Wrecker Service. Discussion of Five Year Paving Plan Update. Appointment of Heyward Wescott to serve on City of Dunwoody Planning Commission. Discussion of 911 Response Report. City of Dunwoody, GA collectively states "Google Fiber, I want my high speed access !!" In early February 2010, I learned of the Google Fiber Initiative and pushed for the City of Dunwoody to apply but based on Google’s requested city size to complete the application, the City of Dunwoody would need to partner with neighboring cities in order to meet the minimum requirements. I brainstormed and saw a joint application with Dunwoody, Sandy Springs, Chamblee & Doraville being a very viable one and posted my thoughts on my blog of February 11, 2010 entitled Imagine the top end of Atlanta as a technology hub tied together with the fastest internet. Let's ask Google to help make it happen. From there the City Manager and City Staff took my request seriously and started talking to our neighboring cities. 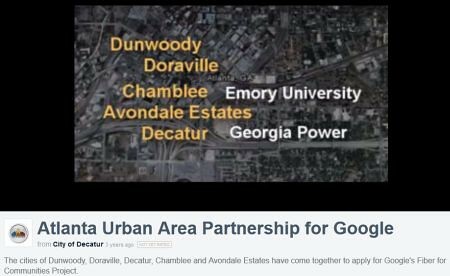 In the end, I believe that Sandy Springs was big enough to submit a single application therefore Dunwoody then partnered with Decatur, Avondale Estates, Chamblee and Doraville as well as Emory University and Georgia Power on the final application submission under the name “Atlanta Urban Area Partnership for Google”. Besides the application which was submitted along with Resolutions of Support from each of the participating cities, a video was produced and submitted along with the application and it is shown below. I know that ultra-high speed internet service will be the future life blood of a community and that businesses and tech savvy individuals would be drawn to that infrastructure. Besides Google Fiber, I have pushed for other expanded internet options like UVerse which is Fiber to the Neighborhood (Node) vs Google’s plan which is to complete the last mile and go Fiber to the Home. Today Google announced that the Atlanta area is in the running for the next wave of investment and in doing so named eight surrounding municipalities by name but did not specifically include the City of Dunwoody, even though we were in direct partnership with several of the cities that were specifically named. My guess is that Google is ready to start with any viable area in the Atlanta market and I can tell you that the City of Dunwoody is ready, willing and able to complete the next stage of the process in working with the provider to bring the service to our community. From the moment that Google announced possible expansion cities, my inbox was lit up with information as to why the City of Dunwoody was not named and if I could summarize the collective message of those inquiries it would be "Google Fiber, I want my high speed access !!" If you are interested in this project, please do me two favors. First go to this link and click the blue CHECK ADDRESS box or the blue GET UPDATES box to register your address as being interested in the service; second if you are a Facebook user, please go to the “Atlanta Urban Area Partnership for Google” page and like it for future updates. The City of Dunwoody is reaching out to Google as to specifics and we look forward to working with them in the very near future. Ms. Stacia Brown poses with Namit Gandavadi and Jonah Liss and their winning entry. Congratulations to Ms. Stacia Brown, Technology Club teacher sponsor, and Chesnut Charter Elementary students for their performance in the 2014 DeKalb County School District Technology Fair, which took place on February 8, 2014. In the 3-4 grades Robotics category, the team of Namit Gandavadi and Jonah Liss won first place, while the team of Khairi Agie & Siddharth Nathan won second place. In the 3-4 grades Digital Video Editing category, Liam Callison won third place. As first place winners, Namit and Jonah will represent Dekalb County in the 2014 State Technology Fair in March. Two city related meetings on Thursday Feb 20th - 6 pm Demolition Meeting for Former Shallowford Elementary - 7 pm City of Dunwoody Town Hall. 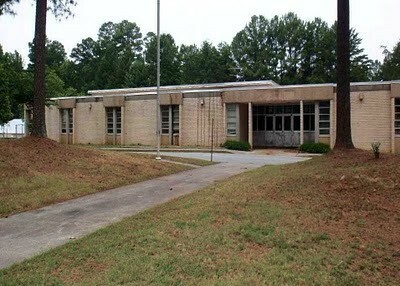 Demolition Meeting for Former Shallowford Elementary - Thursday, February 20, 2014 at 6:00 p.m. at at Chesnut Charter Elementary School, 4576 N. Peachtree Road. The DeKalb County School District is hosting a public meeting to outline its demolition plans for the former Shallowford Elementary/Chamblee Middle School. This event is also this Thursday, February 20, 2014 at 6:00 p.m. at Chesnut Charter Elementary School, 4576 N. Peachtree Road. 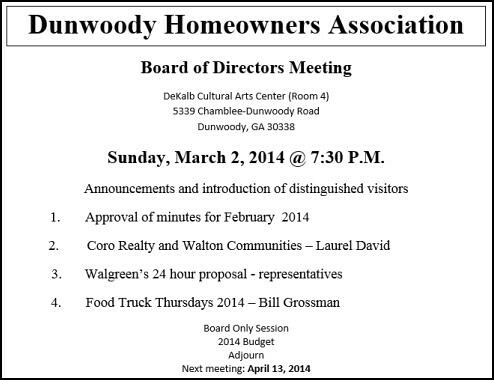 Town Hall Meeting - Thursday, February 20, 2014 at 7:00-9:00 p.m. at Dunwoody High School Auditorium, 5035 Vermack Road. The Mayor and City Council Members are hosting a Town Hall Meeting and we want to hear from you! This event is this Thursday, February 20, 2014 at 7:00-9:00 p.m. at Dunwoody High School Auditorium, 5035 Vermack Road. This is your chance to participate in conversation focused on community issues and topics selected by citizens. Visit www.ConnectDunwoody.com to become engaged. LifeSouth will be on hand with a Blood Mobile from 2:00 p.m. to 7:00 p.m. to accept your blood donations and later in the afternoon, from 4:30-6:00p.m., the Dunwoody Police will hold a presentation on several life saving techniques. AED machines (Automated External Defibrillators) have been in the news a lot and while they are simple to operate, a basic understanding of the machines and how to use them will make it even more likely that a life can be saved. In the program, the police representatives will also discuss the correct ways to use CPR and the Heimlich Maneuver. Attendees are also encouraged to bring their hard and soft cover books for a book exchange. Reading is good for everyone so trade your book with your neighbors. If you don't need your leftover books, they will be donated by the DNCA to the Dunwoody Library. 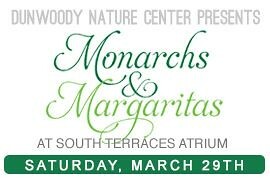 Monarchs & Margaritas supporting the Dunwoody Nature Center is scheduled for Sat March 29th. Monarchs & Margaritas is the Dunwoody Nature Center’s largest and most visible fundraiser and this year, we couldn't wait until April to host the see and be seen event of the spring! We'll be returning to the fabulous Terraces South Atrium for an even bigger and better Monarchs & Margaritas. The evening will feature a wonderful catered dinner by Eclipse di Luna, live music by Francisco Vidal, and both a silent and live auction featuring fabulous treasures such as beach vacation and lake homes, one of a kind paintings by world renown artists, a week stay in Paris, unique works of art, tickets to sporting events, wine tastings, and much, much more. If you had fun last year (or you missed out entirely!) just wait until you see the surprises in store for you at this year's Monarchs & Margaritas. The spring's premier social event of the season and will be attended by our community’s civic, business and government leaders and all proceeds from the event will benefit the programming, education, and outreach efforts of the Nature Center. HR 486, the bill to create independent school systems in Georgia passes out of committee. Video of meeting. 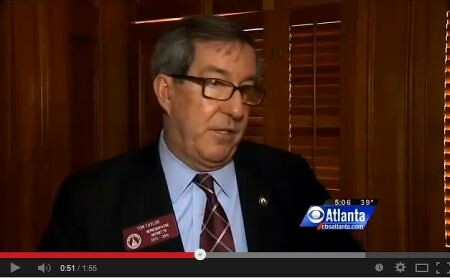 The link to the video above shows the Georgia state House Education committee who passed HR 486 to create Independent school districts for new cities by a 7-3 vote Feb. 5. The bill now goes to the Rules Committee for consideration. The bill calls for a state constitutional amendment allowing new school districts under those limitations. A constitutional amendment requires a two-thirds vote of both the state House and Senate and a simple majority vote of the people in November. 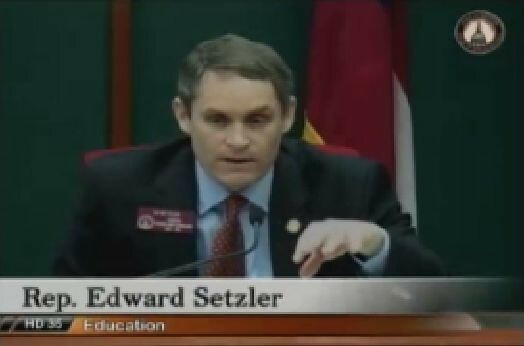 My favorite comments in the meeting came from Rep. Edward Setzler (R - Acworth) and I thought they needed to be broken out and highlighted from the main video. Kudos and thank you to Rep Tom Taylor, Senator Fran Millar, the Leadership at State Capital and all of the Citizens who are working so hard to move this difficult bill forward. City of Dunwoody explains 911 call taken by Chatcomm and transferred to DeKalb. 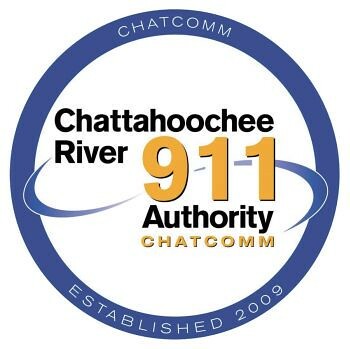 In October 2011, the Chattahoochee River 911 Authority (ChatComm) began answering and dispatching Dunwoody’s 9-1-1 calls. Police service calls constitute approximately 90% of the City’s emergency call volume. Since the transition, the average amount of time needed to dispatch police calls has been cut in half, moving from an average of 4 minutes and 33 seconds down to an average of 2 minutes and 13 seconds. DeKalb County continues to provide fire and emergency medical service to the City including the dispatching of those resources. Since the transition, calls requiring fire or emergency medical service have been transferred using the industry standard, one-button transfer. Fire and emergency medical service calls constitute approximately 10% of the City’s emergency call volume or roughly 10 calls per day. The average amount of time needed to transfer calls between the two centers is approximately 90 seconds. To surpass the industry standard one-button transfer method and eliminate the associated transfer time, staff has been coordinating the development of a Computer Aided Dispatch (CAD)-to-CAD interface to connect ChatComm’s CAD system to DeKalb’s CAD system. Once completed, this interface will allow the call information for fire and emergency medical service calls to be electronically shared and eliminate the transfer time. At the January 27th, Dunwoody City Council Meeting former Councilor Danny Ross played a 911 call where Chatcomm answered quickly but a fair amount of time passed before DeKalb 911 answered and we were told by Mr. Ross that the Dunwoody Police were not dispatched as the Council had believed was the case on all medical emergencies. At that time, I asked for a formal reply regarding this incident be provided to Council as we were under the assumption that Dunwoody PD indeed followed up on all Medical Calls. 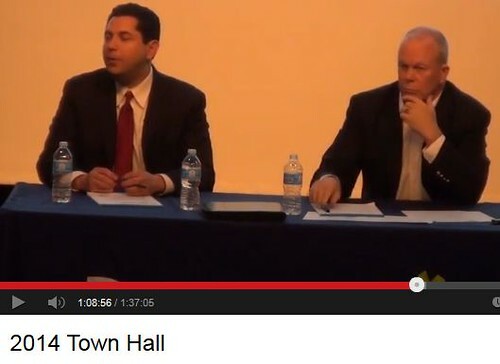 The complete audio of the 911 call is available here and the public comment by Danny Ross is shown below and starts at the 29 minute mark. 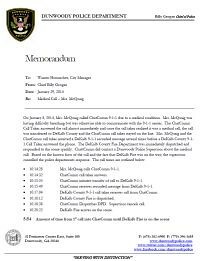 Council received an email on Tuesday explaining the circumstances as outlined below and again in Chief Grogan's Memo. Long story, short - a Dunwoody Police Supervisor called off the police presence on this medical call as DeKalb Fire was already rolling and was just a block away thereby assuring that DeKalb Fire would arrive first. Policemen make life and death judgements everyday and this decision to defer to DeKalb Fire was made by a fully informed experienced officer with the responsibility to maximize safety within 13 square miles. DeKalb Fire was a block away and we deferred to them to handle and I am satisfied with that answer. We have also identified a Chatcomm error in the recording and this is being addressed with them for corrections and retraining as they pride themselves as being a Center of Excellence. 1. Until the CAD to CAD is implemented there will always be a delay on medical and fire calls due to the call transfer from one 911 center to another 911 center. There is nothing about this call that differs from our experience with the one button transfer since the cutover to ChatComm. 2. The ChatComm policy regarding starting Emergency Medical Dispatch (EMD) within 13 seconds of an attempt to transfer the call or 3 rings was not followed properly. ChatComm will investigate that further and handle any personnel issues related to the incident. 3. The caller was never placed on hold, but instead was able to hear when the call was put in the cue hold by DeKalb 911. 4. Dunwoody Police were dispatched as per the policy and current practice. A Dunwoody Police Supervisor cancelled the call for Dunwoody PD based on their best judgment at the time. The primary factor related to our cancellation of our response was that DeKalb Fire was already in route to the call with the appropriate personnel to handle the medical call. 5. DeKalb Fire and Rescue was very quick in their response to the scene." The City of Dunwoody has taken on this complex CAD 2 CAD initiative as it is in the best interests of the community as it should provide a Gold Standard level of service that is not available in communities who continue to use the one button transfer method. This project took a huge amount of cooperation and communication between various governments and computer vendors to work out the details. Sometimes change happens slower than you would prefer when others are reluctant to change, therefore I am very pleased that we are in the final stages of this proposed project. The latest update provided to Council is very promising as there is a tentative to go live on March 1st if not before. Lessons Learned in Dunwoody by dealing with Mother Nature, Independent Schools, DeKalb Community Engagement Meeting and Public Access to AED's. 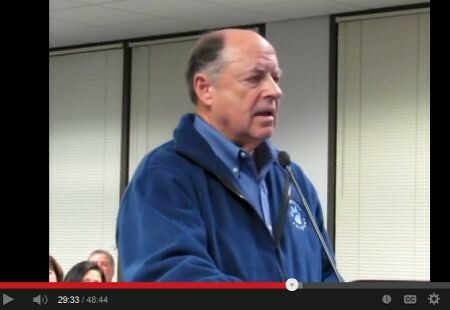 Last Monday night we had a Dunwoody City Council meeting, afterwards I processed and posted the video to YouTube, got a few winks and was at Hartsfield Jackson a few hours later for a 7 a.m. flight to Florida. I missed what was a traumatic event for the entire Atlanta metro region and though I was following the actions of the city via email and social media, there was little I could do except re-tweet a few things and cross post items on Facebook as I was busy taking care of my full time responsibilities. My family was in good shape but seeing every email and news story from Dunwoody made me ache to be back within the City limits assisting in anything that I could have done, no matter how small. Chief Grogan has written a nice recap of what the Dunwoody Police Department went through and I believe the Mayor will have a letter in today's Crier explaining even further what was done and what the city could do to improve the situation next time. Please know that city will be reviewing the events of last week to see what we could have been done better, what equipment should have been available, what policies and procedures need to be tightened or implemented for the next emergency. All being said, I am thankful that no life was lost and am proud of all the efforts of the City of Dunwoody employees and the community as a whole in helping to get past the hardships encountered. DeKalb Schools Community Engagement Session (Dunwoody HS) Tonight @ 6:30 P.M.
Planning Commission to hear home day care request for Coldstream Drive on Feb 11th. The twitterverse told me that the Dunwoody Fine Art Association was showing an exhibition at the MJCC that was centered around all things Dunwoody. The Dunwoody Police Department gave out its 2013 achievement awards for officers and employees that made an impact throughout the year. It is important to recognize excellence among the staff. The police department recognized ten individuals for their achievements during the 2013 calendar year. They were recognized for Officer of the Year, Employee of the Year, Marksman of the Year, Meritorious Service Medal, Rising Star Award, Top Cop, Physical Fitness Challenge, Officer of the Quarter and Chief’s Award. Officer of the Year, Officer of the Second Quarter and Meritorious Service Medal: Officer Anthony ‘Kerry’ Stallings- On May 23, 2013 Officer Stallings responded to a call for service at the Manhattan Condominiums. Upon the officer’s arrival, he observed a woman standing on the fifth floor of a parking deck, having placed herself over the protective barrier of the garage, apparently preparing to commit suicide by jumping to her death. Officer Stallings immediately made his way to the fifth floor where he found the woman crying while standing with her feet halfway off the nine inch ledge. At this point, the officer began speaking with the woman and after several minutes, he was able to work his way closer to her. Once close enough, Officer Stallings reached over the barrier and grabbed the woman's hand, pulled her to him, and wrapped her in a bear hug, lifting her over the barrier and onto the safety of the parking deck. Employee of the Year: Brian Bolden- Prisoner Transport Officer Bolden joined the Dunwoody Police Department in June of 2013. In just six short months, he has worked diligently to become not only proficient in the completion of his assignments but through his personable nature, a true member of our team. He is dependable, hardworking, and always has a smile and a warm hello for everyone he encounters. He has proven that he can communicate well with both civilian and sworn staff and has become an employee who is well trusted and respected. Marksman of the Year: Sergeant Aaron Belt- Sergeant Belt had the highest qualifying score for the department in 2013. Top Cop Award: Sergeant Patrick Krieg- This award is presented to Sergeant Krieg in honor of his outstanding performance in a multi-discipline competition which included physical fitness, mental aptitude, and shooting drills. 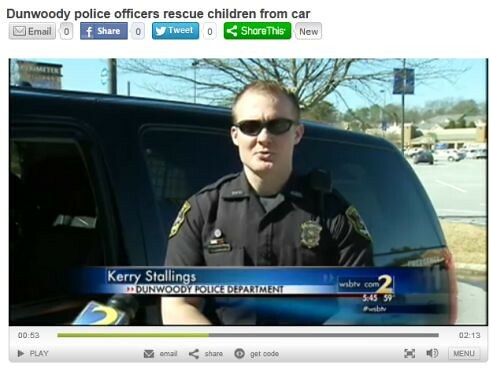 This competition involved all sworn members of the Dunwoody Police Department. Rising Star Award: Officer Terell Styles- (Awarded to officers with less than two years of service) Officer Terell Styles earned this award for his professional demeanor, work ethic, and commitment to the department, City of Dunwoody, and the citizens we serve. Officer of the First Quarter: Officer Harold ‘Trey’ Nelson- Officer Nelson’s efforts over the first quarter of 2013 have produced several outstanding arrests, to include a GHB manufacturing operation at a local apartment complex. 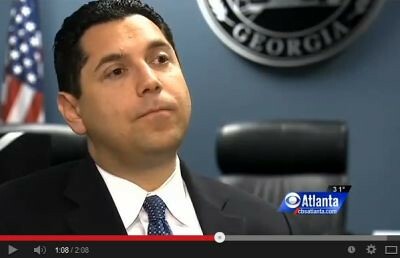 In addition to this case, this officer has also been responsible for several other arrests for Violation of Georgia Controlled Substance Act (V.G.C.S.A). Along with these arrests, Officer Nelson organized and conducted a warrant operation with his team members; which resulted in three fugitive arrests along with additional charges of V.G.C.S.A. Obstruction and Animal Cruelty. Officer of the Third Quarter and Meritorious Service Medal: Officer Christopher Irwin- On July 8, 2013 Officer Irwin had just gone off-duty when a medical call was dispatched. It was reported that 56-year old male victim was possibly having a heart attack. The caller reported that the victim was on the floor, conscious and having difficulty breathing. Although the officer was off duty and headed home, he radioed that he would be responding and was the first to arrive on scene. Upon the officer’s arrival, the victim was unconscious, not breathing and had no pulse. The officer immediately deployed his issued AED. The AED gave an initial shock and the officer began CPR with the help of a civilian. The AED provided two additional shocks before DeKalb Fire Rescue arrived on scene. The officer remained by the victim’s side, assisting Fire Rescue personnel. The victim was then transported to St. Joseph’s Hospital where he was in stable condition and expected to make a full recovery. Officer of the Fourth Quarter and Chief’s Award: Officer Tim Fecht- Officer Fecht has taken on additional responsibilities as a result of Sgt. Carlson’s military deployment. He has taken on these responsibilities with a positive attitude and without complaints. This officer has been directly involved in registering training classes for the department to include travel training requests. He has also coordinated and/or attended twenty-nine (29) social events, completed nine (9) Media releases, thirty-seven (37) Media requests, four (4) on-camera interviews, four (4) Radio interviews, thirty (30) Court sessions and has coordinated our social media links. Officer Fecht has been an absolute professional throughout the quarter and continues to maintain a significant workload which many departments would have delegated between several officers. Meritorious Service Medal: Officer Danny Tedesco- On Thursday, December 26, 2013 at approximately 1140 hrs, Officer Tedesco was dispatched to the Workout Anytime located on Chamblee Dunwoody Rd in reference to a medical call. Upon arrival to the scene, our officer met with the gym staff who were with the victim performing CPR. At the time of the officer’s initial assessment, the victim was not breathing and was turning blue. The officer immediately deployed his AED to the victim's chest for an assessment; at which time the victim had to be shocked. After the first set of chest compressions, the victim was reassessed, at which time a second shock had to be administered and CPR was continued. Lifesaving procedures were continued by the officer and the gym staff until they were relieved by DeKalb Fire Rescue. The victim eventually regained a pulse and began to breathe on his own - at which point he was transported to the hospital. As of last check on the victim, he was doing well and on the road to recovery. Physical Fitness Challenge Awards: Officer Trey Nelson and Officer Ian Fein- In 2013, the City sponsored a Fitness Challenge to generate competition and participation in the program. This challenge involved voluntary participation in a physical fitness challenge based upon the Cooper Clinic Standards. Officer Nelson and Officer Fein each obtained “Superior” in all tested categories. 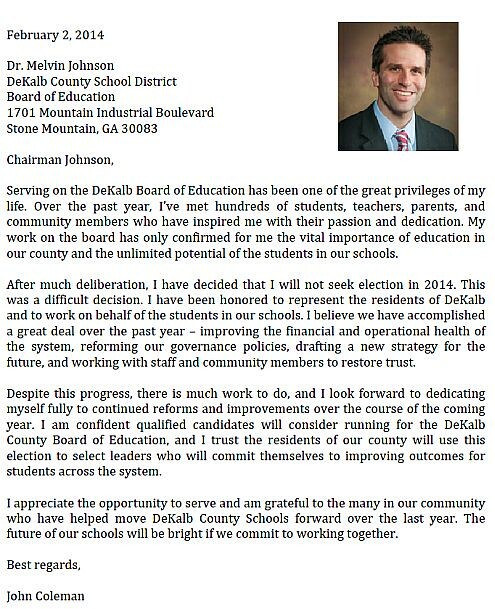 I received an email from John Colemen the District 1 rep to the DeKalb County Board of Education appointed by Governor Deal stating that he will not seek election. I know that Stan Jester of Dunwoody has already announced his candidacy and was actively live tweeting today's meeting. Stan has been heavily involved and would serve our community well if elected. If there is another candidate that I am unaware of or if one joins the race, I will happily give equal space. February 22nd marks the 5th anniversary of Pebble Tossers serving our community by providing age appropriate service projects to youth, teens and families in Metro Atlanta. We are excited to share our birthday with you through service and celebration. We will be presenting our annual Youth of the Year Awards to our outstanding youth volunteers and we will also be presenting the President’s Volunteer Service Award to one high-achieving young lady. These inspirational kids will share their volunteer stories and will motivate all of us to keep giving and serving. There is a $15 per person fee to cover the cost of service project materials, t-shirt and event costs. Our group service project runs from 1:00 pm – 4:00 pm in the warehouse of the ACFB. Families can work together in the warehouse sorting food and packaging items. (Kids 8 and up only). Space for this is limited, so sign up quickly. Due to ACFB policies, you will need to register directly into their system to sign their volunteer waiver. There is no cost if you only want to volunteer with the ACFB, but you must register. * If you plan to attend the Celebration and then Serve with the ACFB, you must register here for both events. We will need lots of volunteers to make this day possible. If you would like to help with the event, please view the volunteer needs from: set up & decorations to leading games to leading the service project to making cotton candy to clean up. Volunteers helping with the event still need to RSVP for the event. Click here to view the volunteer needs for the afternoon.